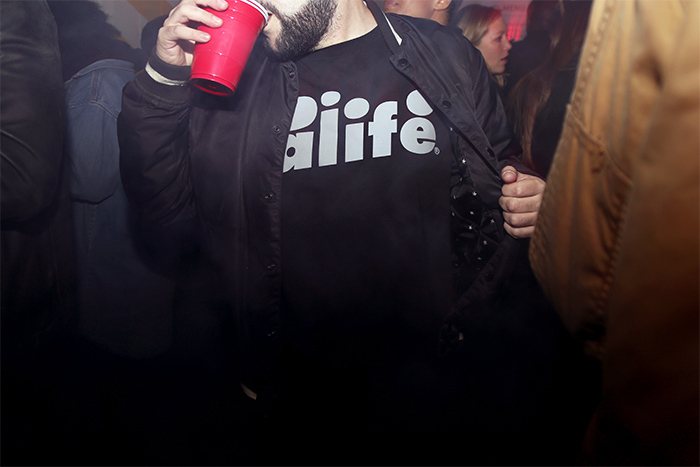 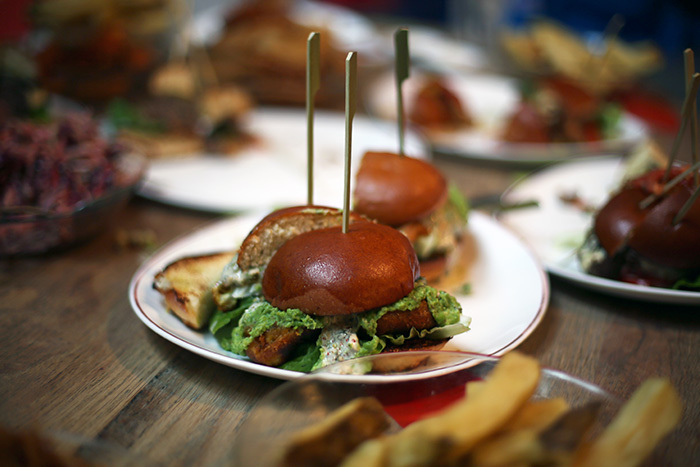 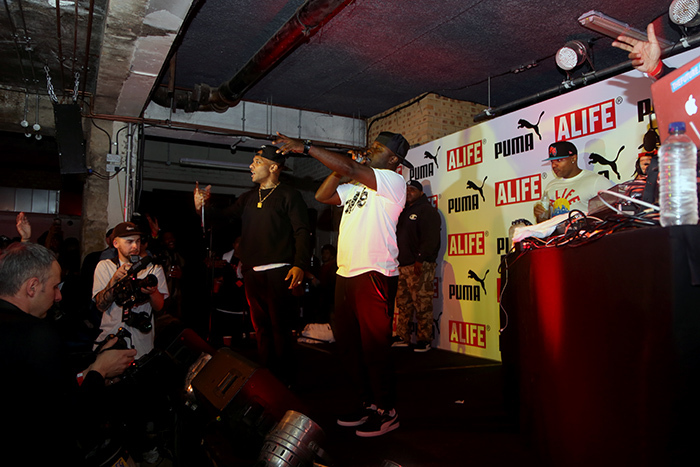 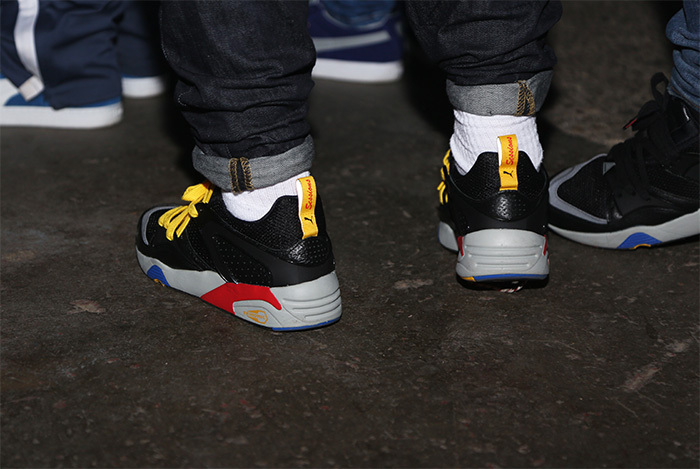 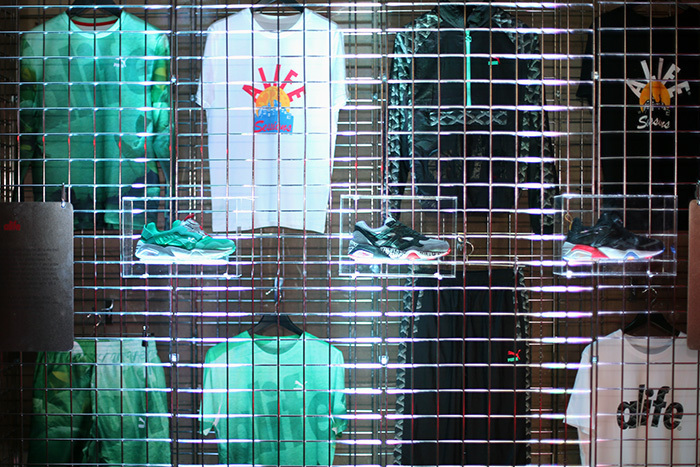 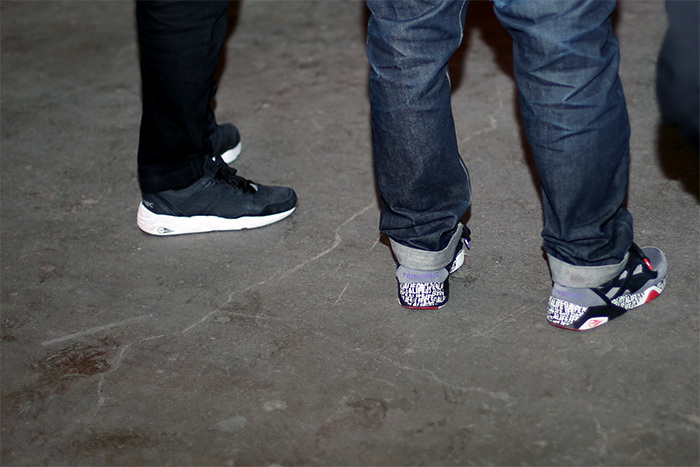 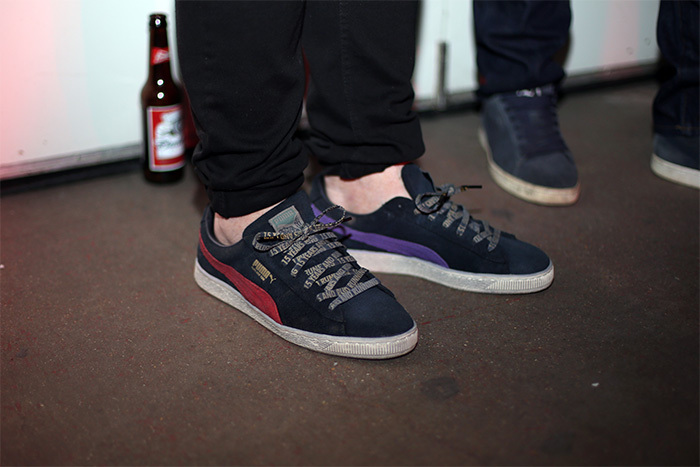 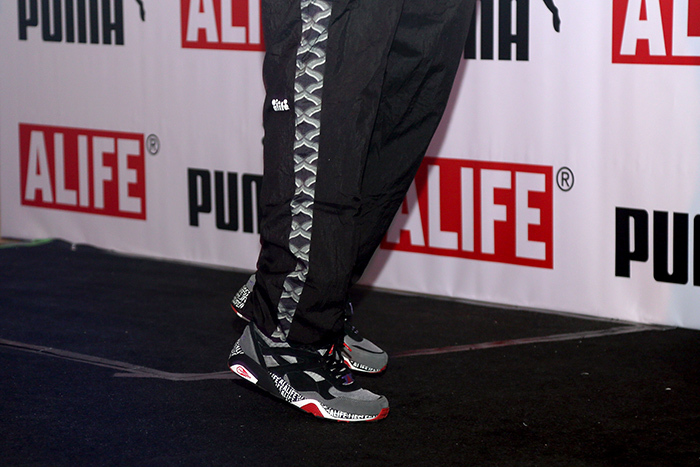 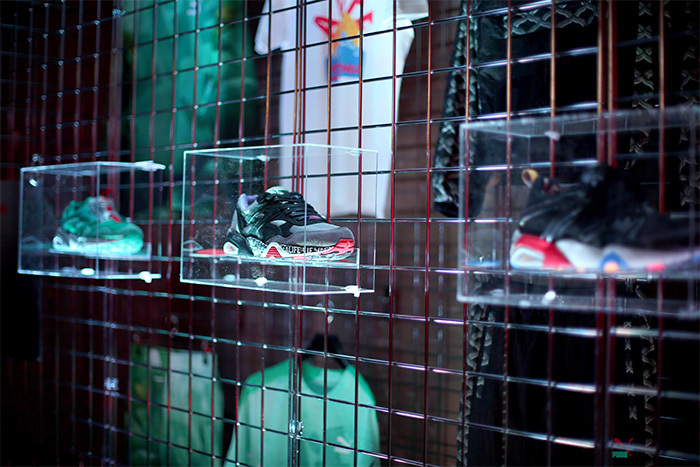 Home › News › PUMA presents ALIFE Sessions – Photo Recap. 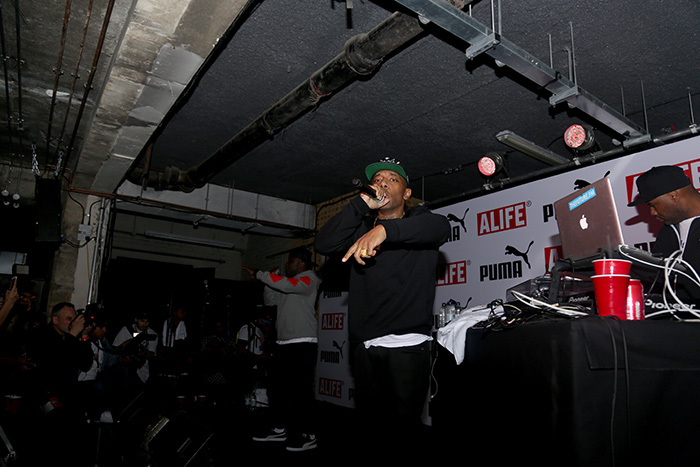 PUMA presents ALIFE Sessions – Photo Recap. 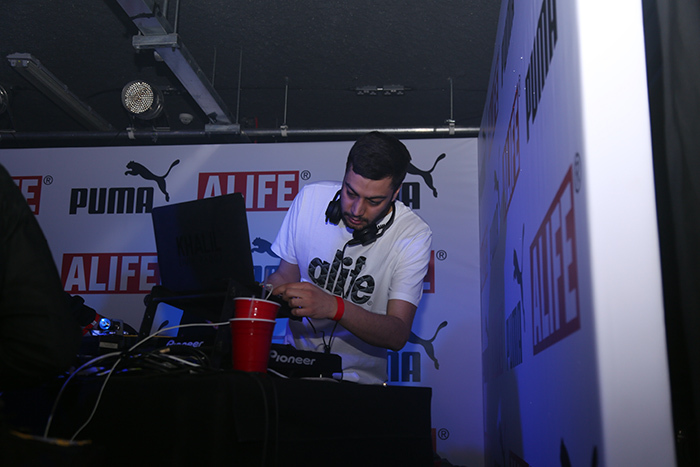 Last night we headed down to the PUMA x ALIFE Sessions to celebrate the launch of Drop 2 from their Spring/Summer collaborative collection. 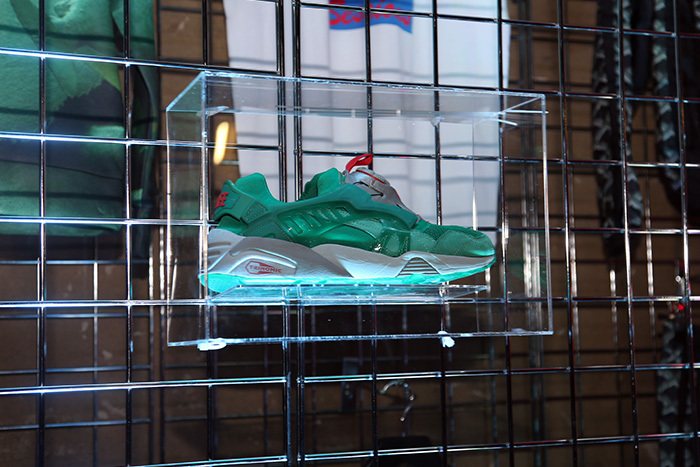 Coming together for the second time this season, the New York institution and sportswear giants rework four classic PUMA running silhouettes including the Blaze of Glory, R698 and Disc Blaze, as well as presenting an accompanying selection of sportswear inspired apparel. 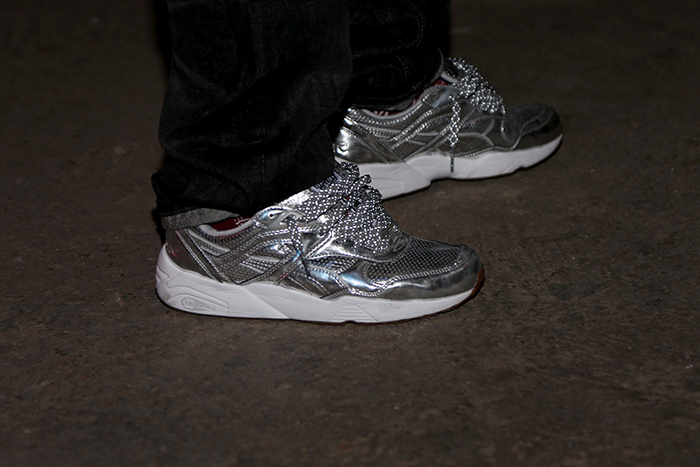 The collection is succinct but the quality is high, with considered colour and material applications that combines each brands unique aesthetic seamlessly. 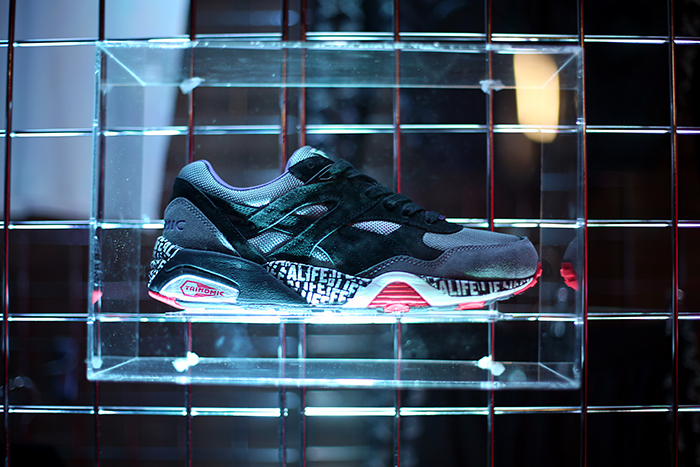 The four designs are reflective of both companies heritage, referencing 90’s sneaker and hip hop themes throughout, which was an integral era in both of the companies development. 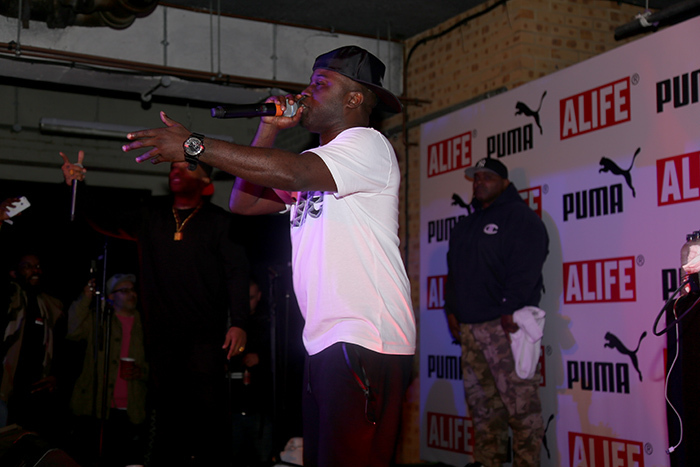 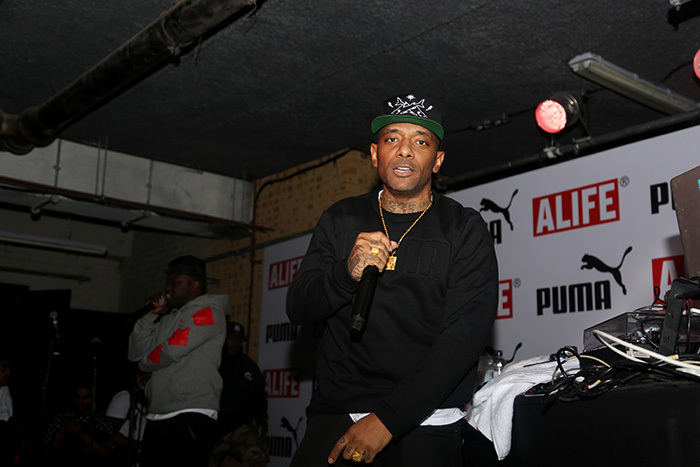 The PUMA x ALIFE sessions picked up from where they left off, following the legendary Raekwon providing the entertainment at the last event, it was now the turn of NY hip hop heavyweights Mobb Deep to bring the energy and they definitely didn’t disappoint. 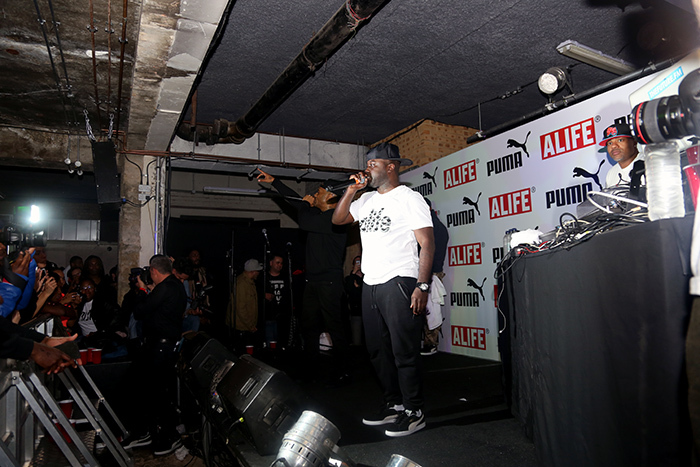 Check out our photo recap of the event, covering the awesome live set from Mobb deep with support from Cult Mountain and Little Simz, as well a sneak peek of the collection that was on show throughout the evening. 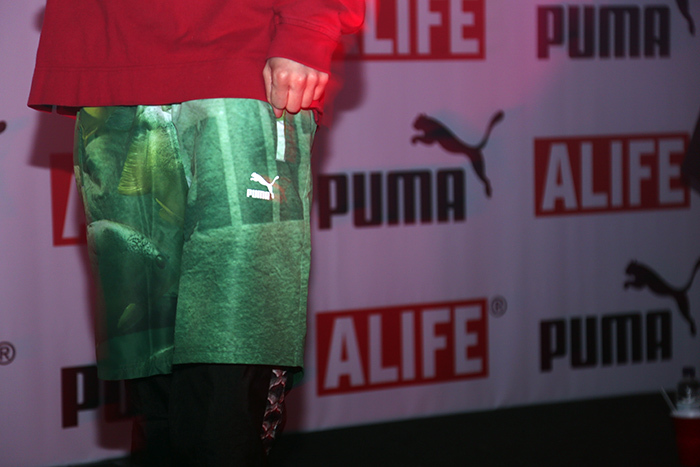 The PUMA x ALIFE Spring/Summer 2015 Drop 2 will be available tomorrow (Saturday the 2nd of May. 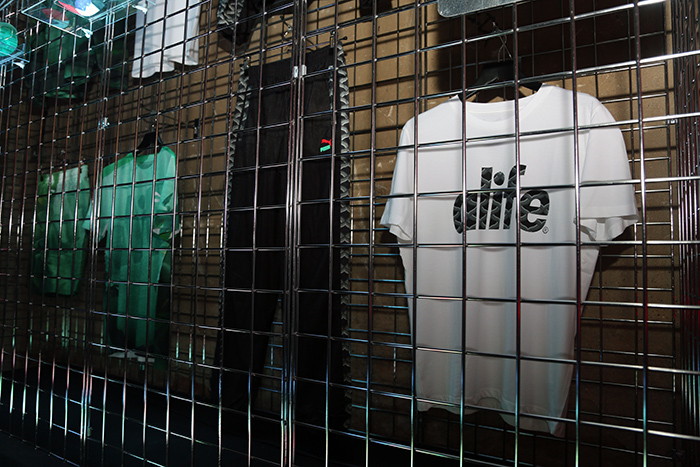 Until then you can shop our current range of ALIFE HERE and PUMA HERE.